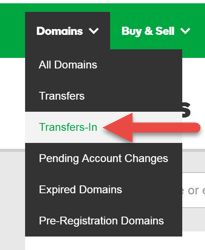 When you purchase a domain name transfer to us, we send a confirmation email required to complete the transfer to your email address. If you recently changed your email address at your current registrar, you can resend the confirmation email to it from your account with us. If your account with us is not displaying the correct email address after you change it at your current registrar, you can update our records and then resend the confirmation email.